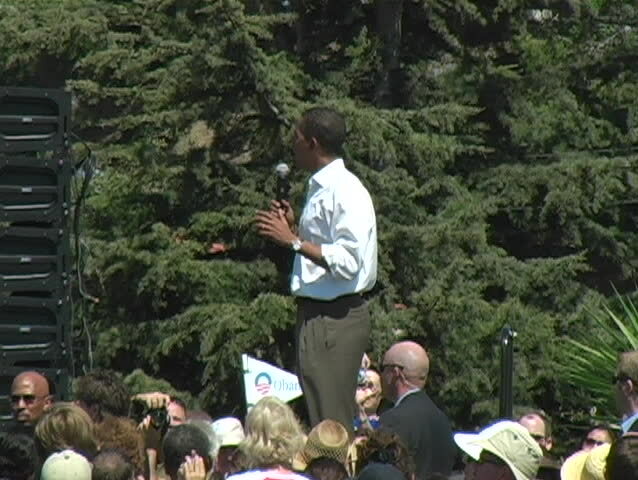 Barack Obama giving a speech at a rally in Santa Barbara, California. hd00:11Mount Lebanon Landscapes. Pan-right to a veiw of snow covered Mount Makmal overlooking the Qadisha Valley, a unesco site. hd00:10Garbage dump in the forest, environmental pollution, sunny summer day, forest, beautiful green trees.